A Better Wrist: What Watch Should You Wear to Jury Duty? What Watch Should You Wear to Jury Duty? Let’s assume for the moment that no watch is going to get you off of jury duty, because that's true. Let’s also assume for the sake of this article that you don’t have a smartwatch, which might be the obvious choice because you can check messages while the lawyers are conferring in secret and white noise is filling the courtroom with the hum of a hundred air conditioners. going to be going anywhere for a while. What should you wear? That’s not an easy question to answer. In most other places that you visit, you're going there out of desire or need. The office, a concert, a party, on a date, surfing, playing tennis, to a new restaurant, walking along the river — these are all choices. You might pair a dress Breguet with that crucial office meeting, a Christopher Ward diver with surfing under a bright sun, an understated, classy Grand Seiko with a date, or a sturdy and attractive Rolex Submariner with tennis, for instance. Jury duty isn’t a choice, which means that the watch choice is a more difficult decision to make. Many watch wearers insist that they wear their watches for themselves, that they don't care if nobody notices their watch. But when it comes to jury duty, you might want people to notice your watch, depending... on whether you want to lead in the jury deliberation room. All jury duty sessions come to an end (though it may not seem like that when you're sitting in the box for endless hours, your rear end becoming indistinguishable from the chair), and the place where it ends is in the jury deliberation room. Wearing a formidable Rolex or Omega, a brand that people recognize as a ”leader's watch,” might make other jurors think you're a smart person — or at least accomplished and rich — and that your opinion matters more than other people’s. An iconic Rolex, or perhaps a watch just adorned in gold or diamonds (a Cartier Tank or Movado Safiro, for example), might turn all eyes to you when you speak in the jury room, causing a knowing hush to fill the room. Or wearing an expensive watch in a closed, intimate space with strangers might just make people resent you. So what about a chronograph? With a stopwatch function, you can time lawyers' speeches. You can take your pulse. You can see if you can estimate 30 seconds in your head. You can see how long you can hold your breath. A chronograph also lets you react swiftly and decisively when the judge says, “We'll break for lunch in 15 minutes.” There are countless chronograph brands to choose from. You can even combine a chronograph with a look-at-me, listen-to-me watch. A diamond bezel Breitling Super Avenger, a chronograph that weighs in at slightly under $10,000, for instance. The Breitling decision that would satisfy your dual needs to lead and know how much longer you have to endure hunger pangs. Every jury, it seems, has a contrarian. (Or at least that's the way Hollywood presents things.) There’s always one juror who holds out against all the others, maintaining his certainty in the face of passionate, logical, and often vociferous arguments. That person is always correct. 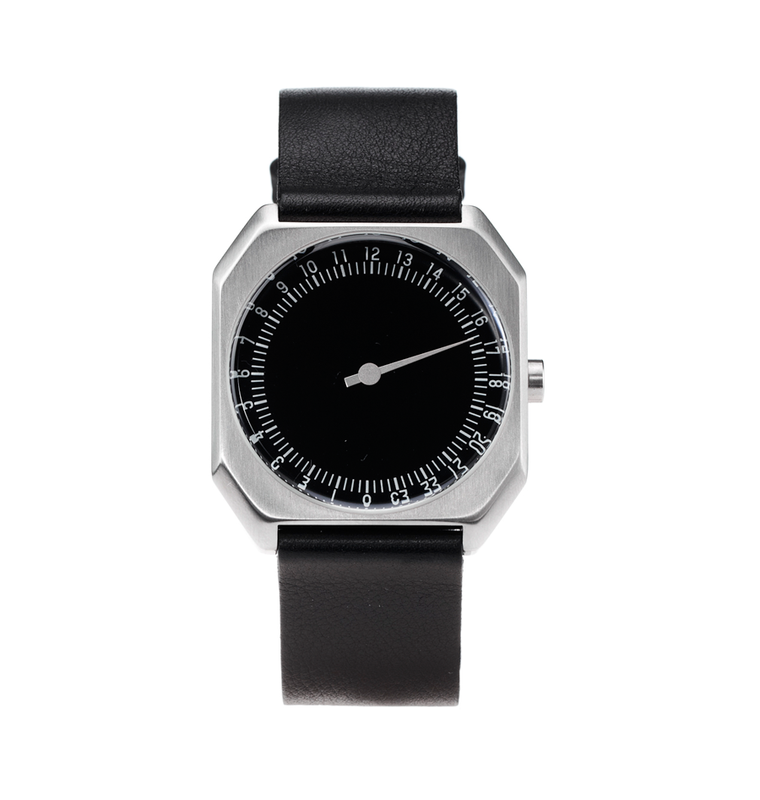 You could be that righteous contrarian by wearing a slow watch. 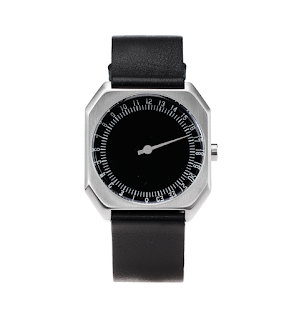 A slow watch is a one-handed watch with a dial that’s marked in 24 one-hour intervals. A slow watch takes a full day for its one hand to rotate around the watch’s face. There are no minute hands, no second hands. Just one slow-moving hand. A slow watch’s hand moves at half the speed of a normal hour hand. The slow watch is meant to let you enjoy life’s every moment, so that you don't feel like you're racing through the day. Are you brave — or insane — enough to wear a watch that turns a place where time is already moving very, very slowly into a place where it appears that time is moving even more slowly? A watch with a hefty power reserve is a good idea. Sitting immobile in the jury box for hours like Hans Solo frozen in carbonite isn't going to get your automatic watch wound. Arrive with plenty of power already packed into your wristwatch. There's another option to consider when it comes to what watch to wear to jury duty. There are a lot of empty courtroom minutes when nothing’s going on that you need to pay attention to. Whipping out your smartphone during those down times is a no-no that may inspire inspire the judge’s ire (and make you the subject of a jury’s consideration). But it’s always okay to glance at your watch. Wear a watch that you love to look at. 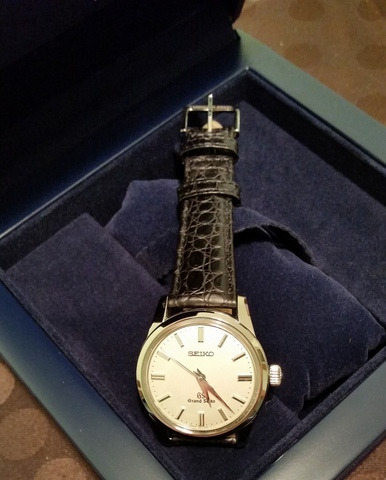 A watch that’s art to your eyes. A watch that’s always enchanted you. I'm not suggesting that you spend $460,000 for Jaquet Droz’s The Bird Repeater, one of the most captivating watches ever designed, or even $50,000 for a Seiko Credor, a work of exceptionally beautiful, simple elegance. Though these two watches would be excellent choices for jury duty. But you might consider wearing a watch that you’re content stare at for endless hours, because you may have to.